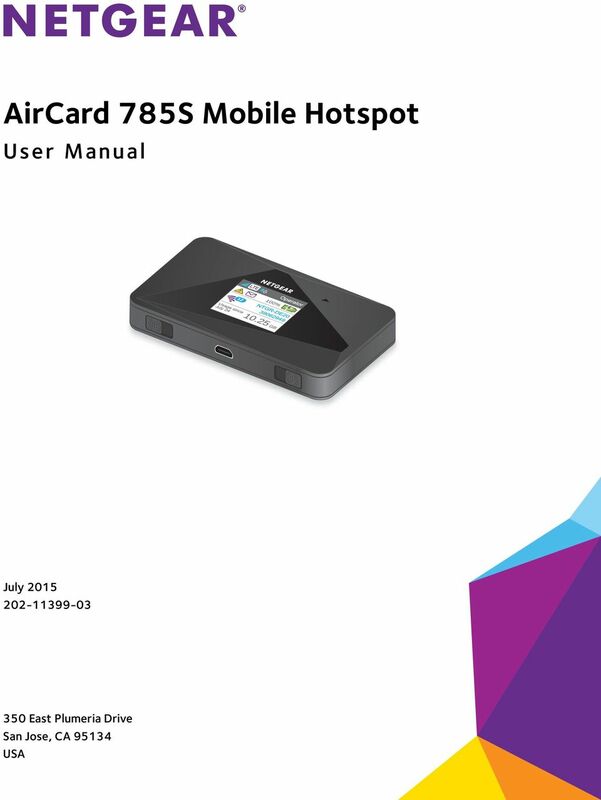 Download "AirCard 785S Mobile Hotspot User Manual"
4 SIM Locked SIM MEP Locked Temperature-Related Alerts Chapter 3 Advanced Settings Back Up and Restore Hotspot Settings Manage WiFi Network Options Enable SIM Security Configure Mobile Broadband View WAN Information Enable Port Forwarding Enable Port Filtering Enable IP Pass-Through Mode Enable VPN Pass-Through Configure APN Details Enable DMZ Set LAN Options Appendix A Frequently Asked Questions Questions About Connecting and Disconnecting Devices and Accessing the Internet What do I do if I can t connect a device to the hotspot? 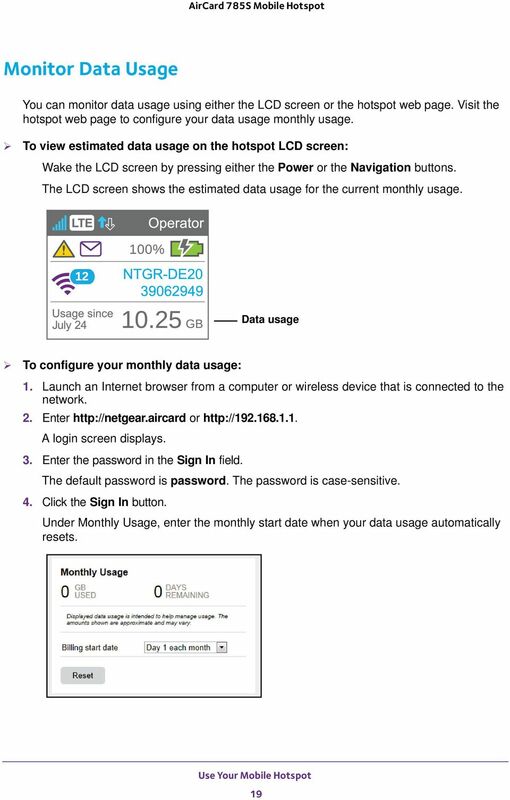 What do I do if I can t access the Internet? 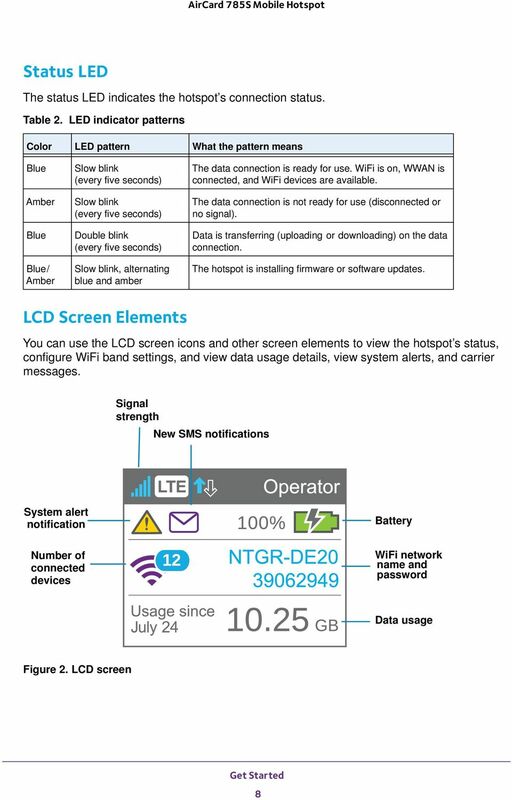 How do I disconnect from the mobile broadband network? 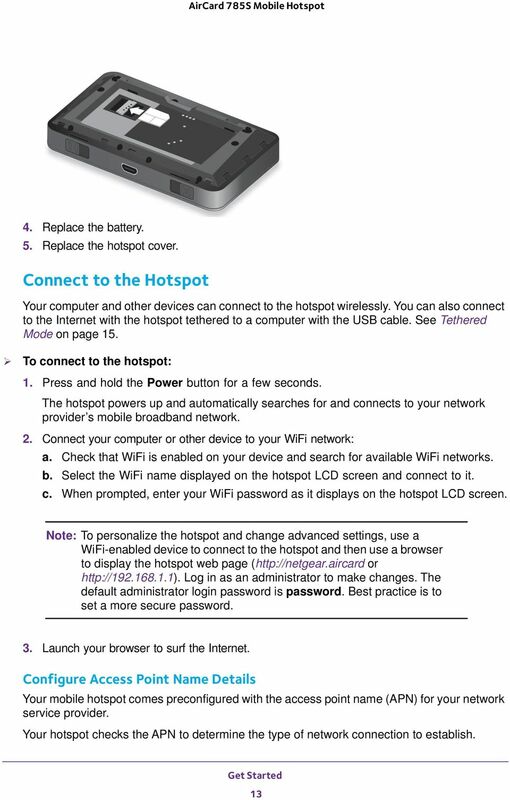 Why doesn t the Connect or Disconnect button appear on the hotspot web page? 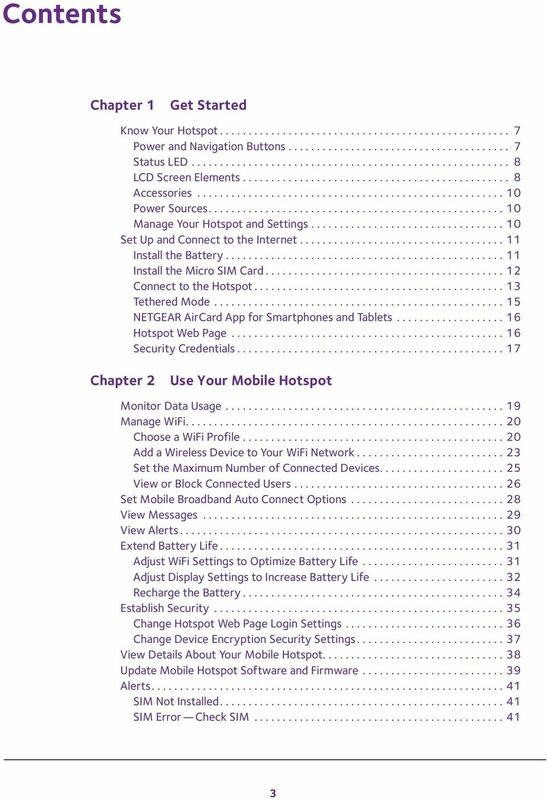 How do I find out how many users are connected to my hotspot s WiFi networks? Why does the No Signal icon display? 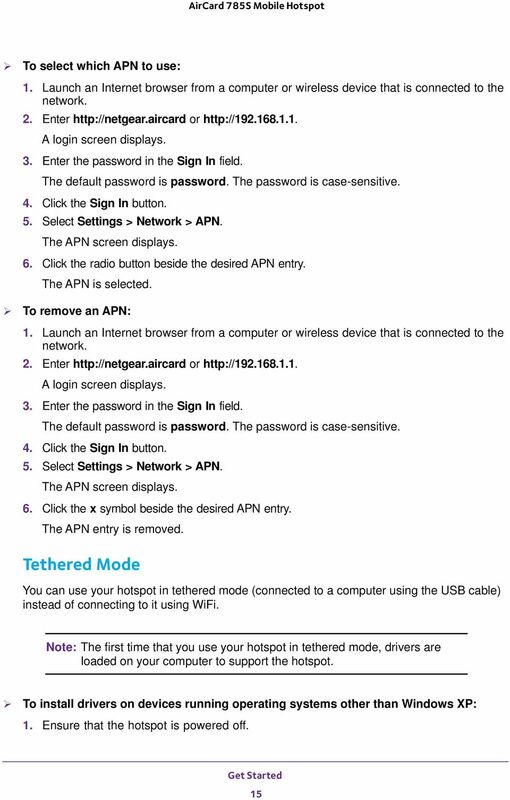 Why can t my device access the hotspot web page when connected to a VPN? 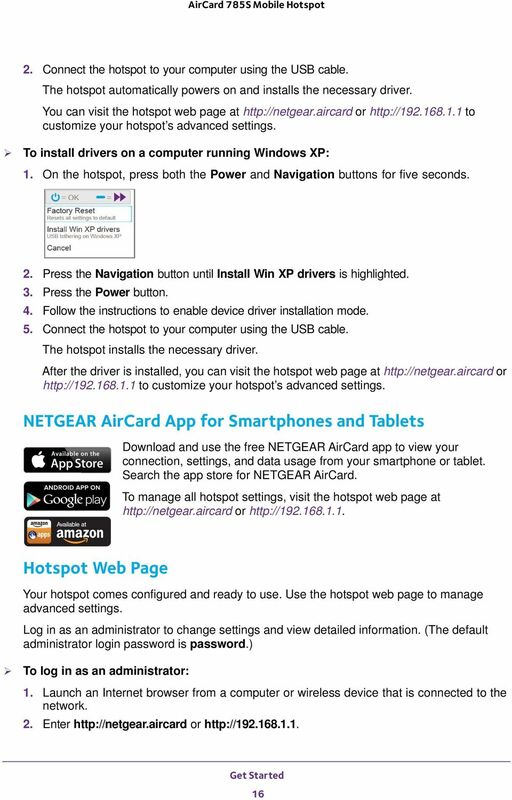 Why can t my hotspot connect to a computer running Windows Vista? What do I do if my hotspot doesn t connect to my service provider s network? 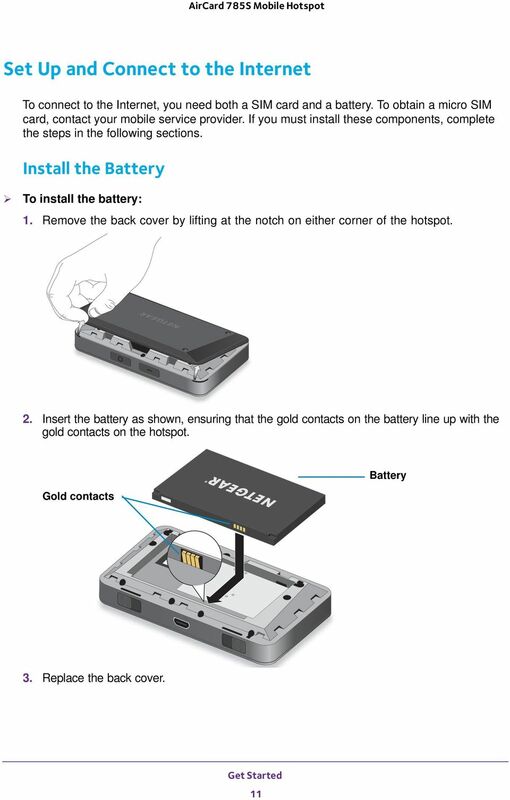 Questions About the Hotspot Battery Why isn t my battery charging? 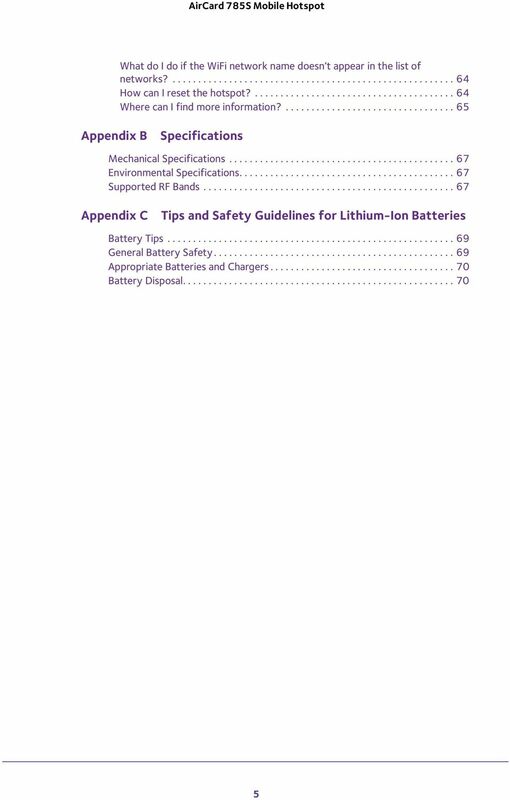 How can I extend the life of the battery? 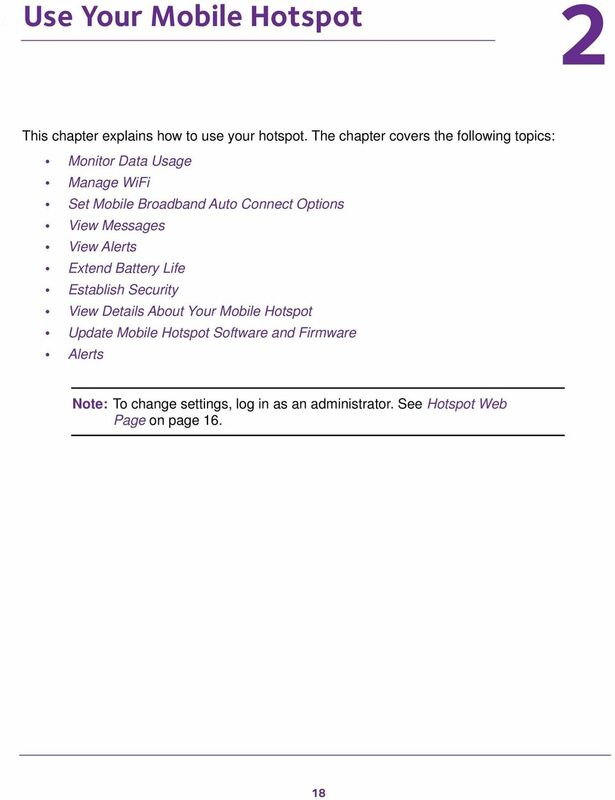 Questions About the Hotspot Web Page How do I go back to the hotspot web page? What do I do if I forget my admin login password? General Questions Why is the signal indicator always low? Why is the download or upload speed slow? 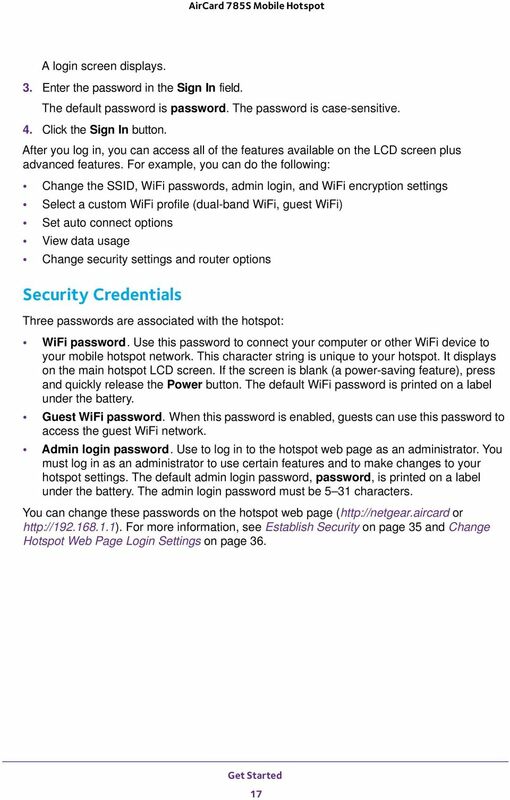 How do I turn the hotspot off? The LCD is not lit. 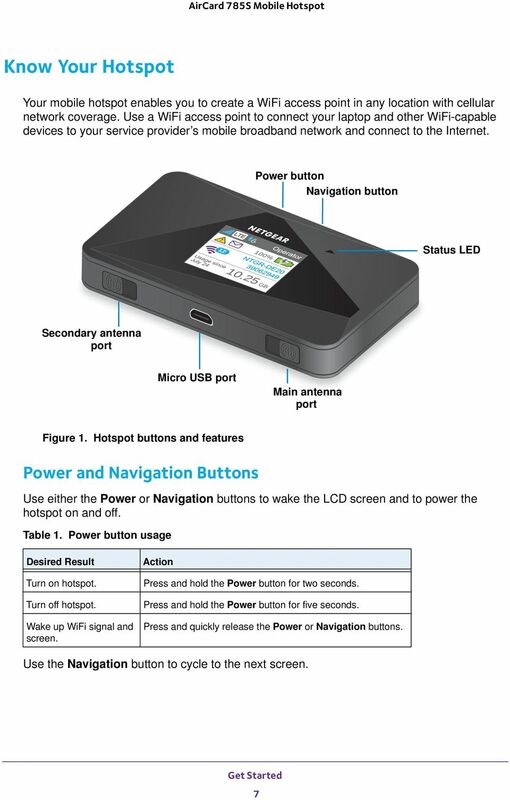 How do I know if the hotspot is still powered on? 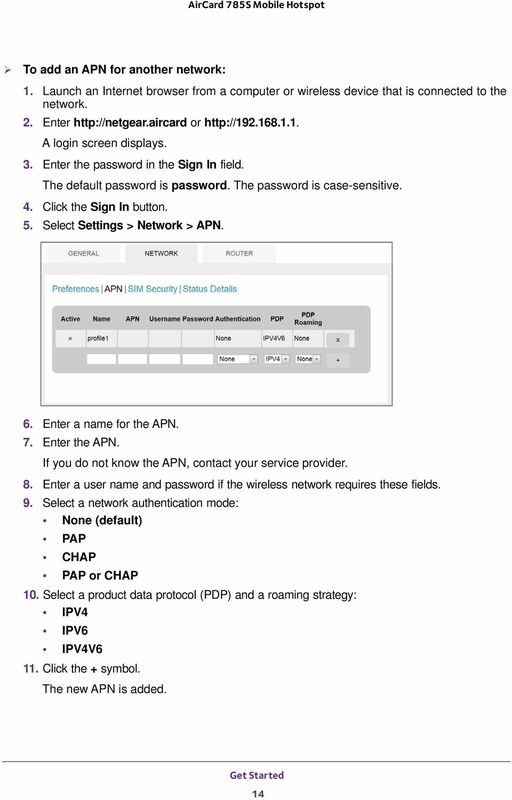 How do I find my computer s IP address? How do I find a device s MAC address? 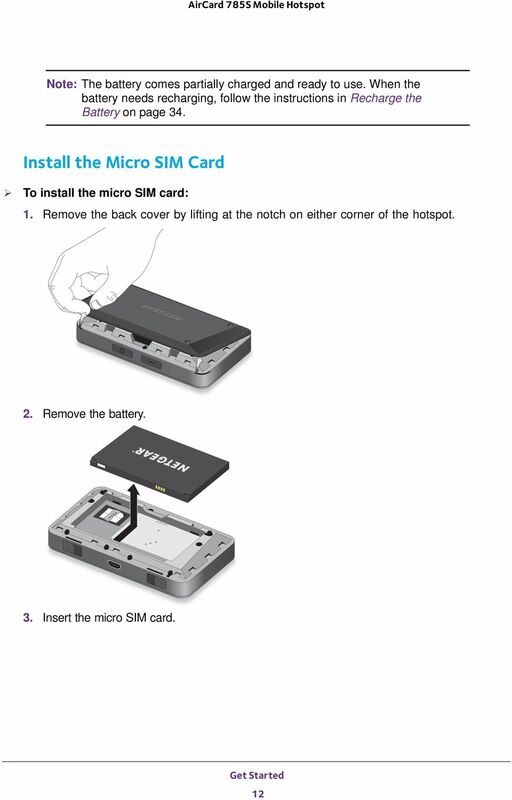 Thank you for purchasing the Huawei E5332 Mobile WiFi. This quick start guide will help you to get started right away. 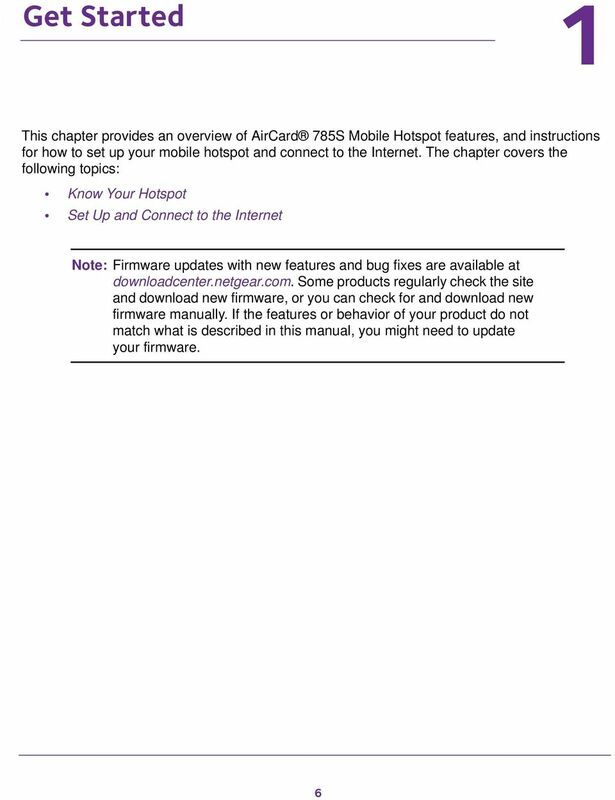 Nighthawk DST AC1900 DST Router and DST Adapter Model R7300DST User Manual October 2015 202-11557-01 350 East Plumeria Drive San Jose, CA 95134 USA Support Thank you for purchasing this NETGEAR product. 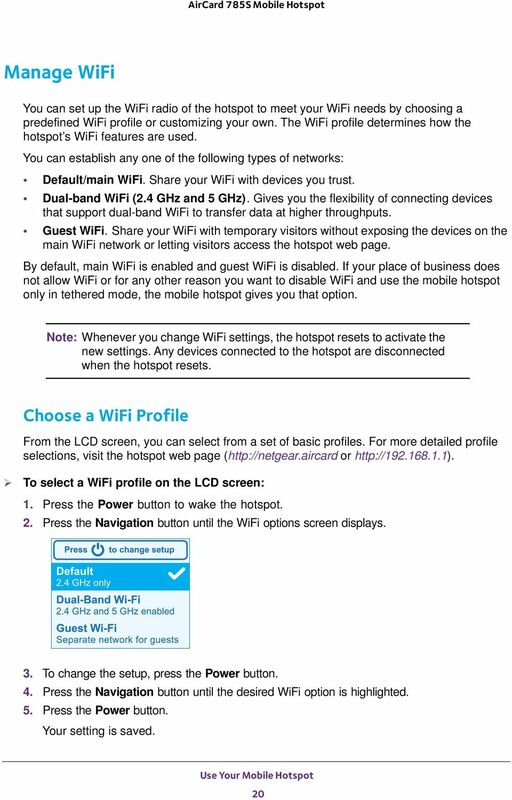 Thank you for purchasing the Mobile Wi-Fi. 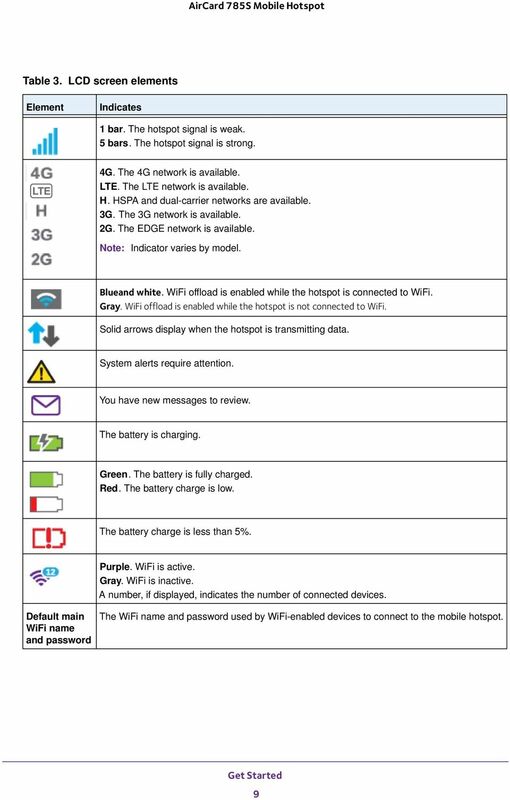 This Mobile Wi-Fi brings you a high speed wireless network connection. Quick Start. is a trademark of ETSI. Quick Start. 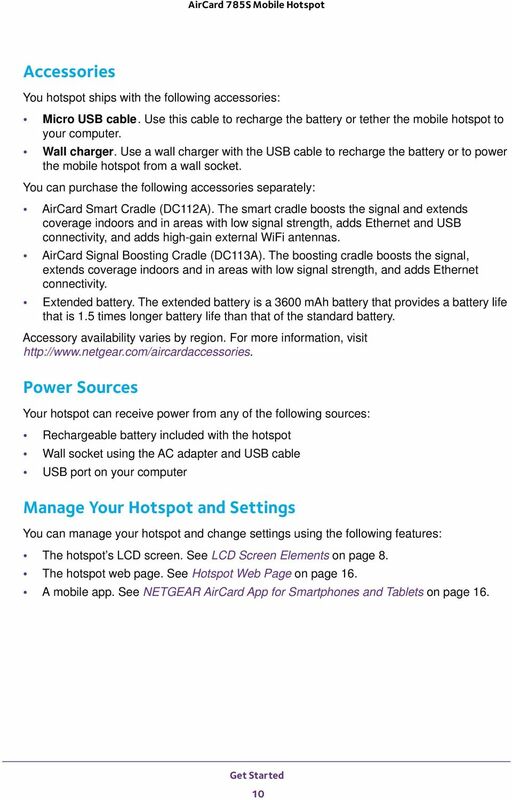 NETGEAR Trek N300 Travel Router and Range Extender. 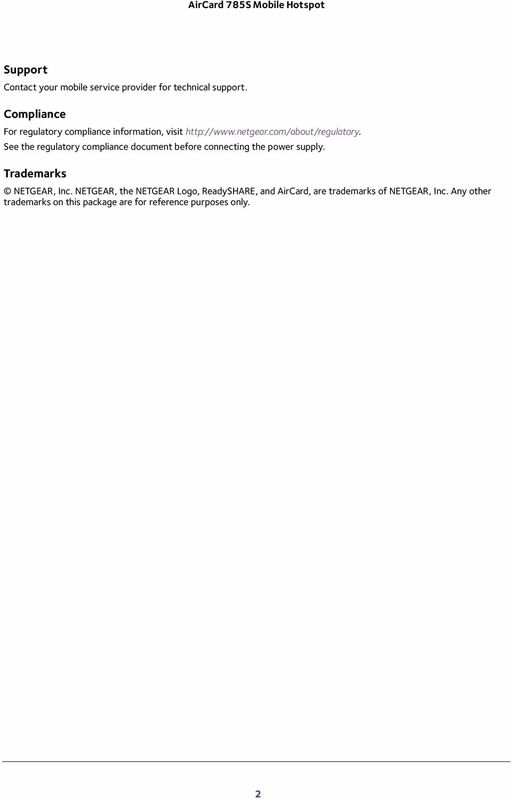 Model PR2000 NETGEAR LAN. Power. WiFi USB USB. Reset Internet/LAN.